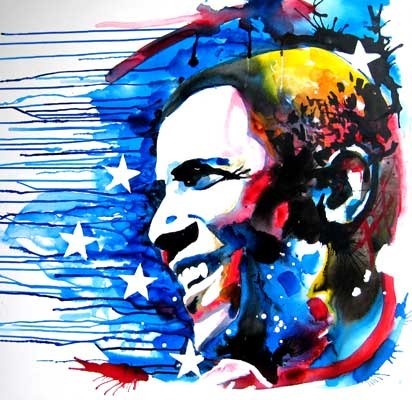 In 2008 Moveon.org hosted an international art competition called Manifest Hope. Out of 3000 entries, Phil Fung's "Stars and Stripes" was selected by a panel of judges, including Shepard Farey and the Guggenheim Museum curator, as the competition winner. This portrait was exhibited at the Democratic National Convention in Denver, CO with international media coverage from CNN, the Washington Post among others.